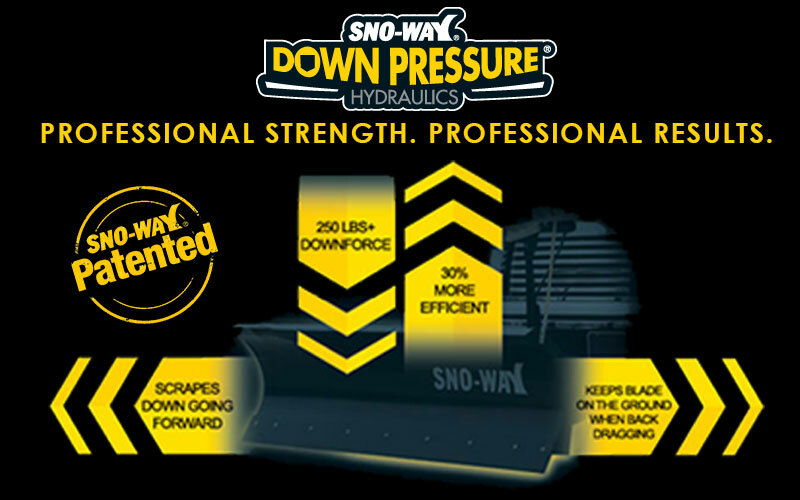 Sno-Way Snow Plows and Ice Control Equipment - | Pace, Inc.
It’s more than just a slogan, it is the heart and soul behind every Sno-Way Snow Plow and Spreader. It is the relentless pursuit to design and manufacture the most durable and efficient plows. It is what makes the Sno-Way name the strongest in the industry. For three decades, Sno-Way snow plows and salt spreaders have helped thousands of homeowners, small businesses, plowing contractors, and municipalities remove snow and control ice. Our STRONGER – SMARTER – BETTER slogan is no idle boast considering our dozens of industry patented innovations. 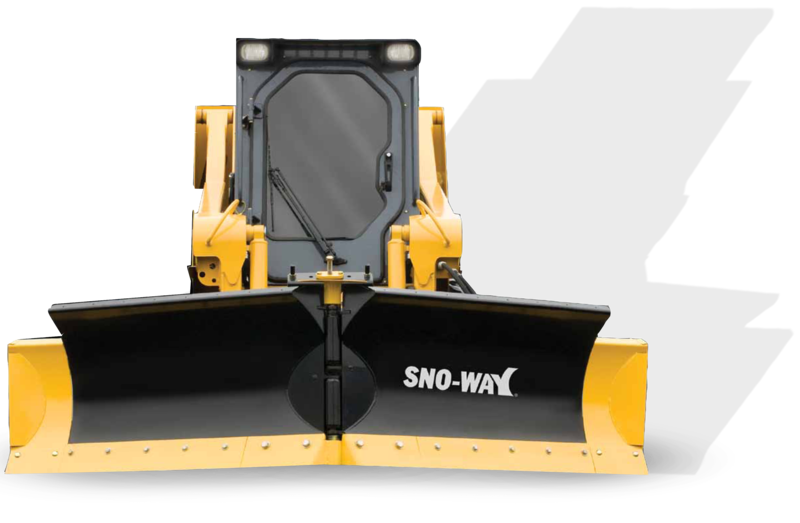 Sno-Way leads the snow removal equipment industry with innovated and patented designs and improvements. 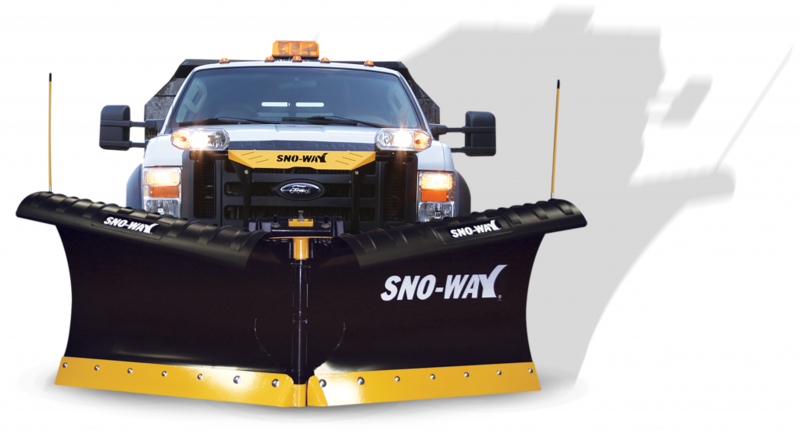 The Revolution™ snow plow series features patented fully controllable, independently movable wings. These wings take your plow from a full, open plow to a box end plow in a matter of seconds. Sno-Way has an ice control product to fit your needs! 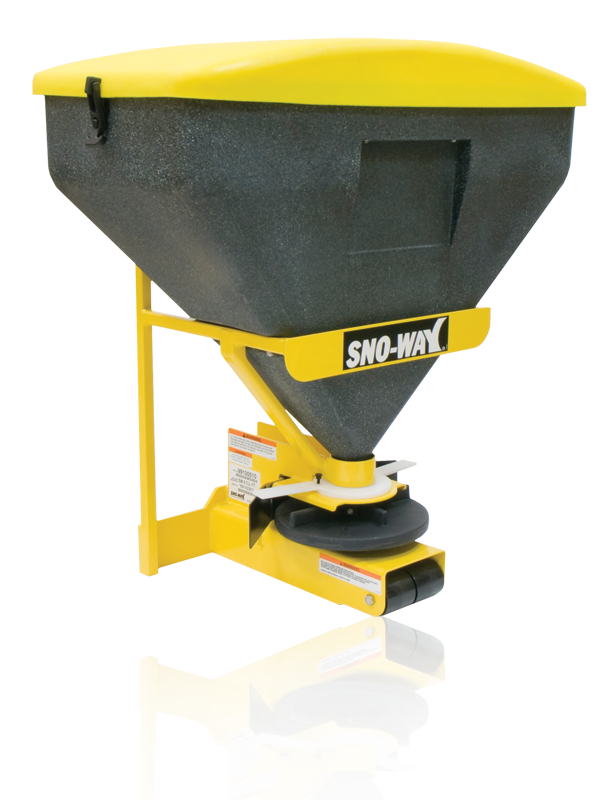 Large or small, Sno-Way’s Revolutionary Spreaders are built to perform. Each Sno-Way spreader offers unique, productivity-enhanced features not found on competitive products. Features that help you get your job done fast and efficiently. No other spreader can provide you as much control of the spread material as a Sno-Way spreader. Sno-Way’s Truck Spreaders are ready to handle any job you throw at them. Sizes ranging from Tailgate Spreaders, to RVB Light Commercial, to RVB Commercial. Sno-Way is sure to have a spreader to suit your needs. Skid steer salt spreaders are the smart solution for fast, efficient deicing of parking lots, loading docks, mall entrances, and walkways. For three decades, Sno-Way has been designing snow plows that have helped thousands of users remove snow more quickly and with greater efficiency. Whether you’re a commercial contractor at the top of your game, a homeowner looking help out the neighborhood, or anywhere in between, Sno-Way has the snow plow for you. 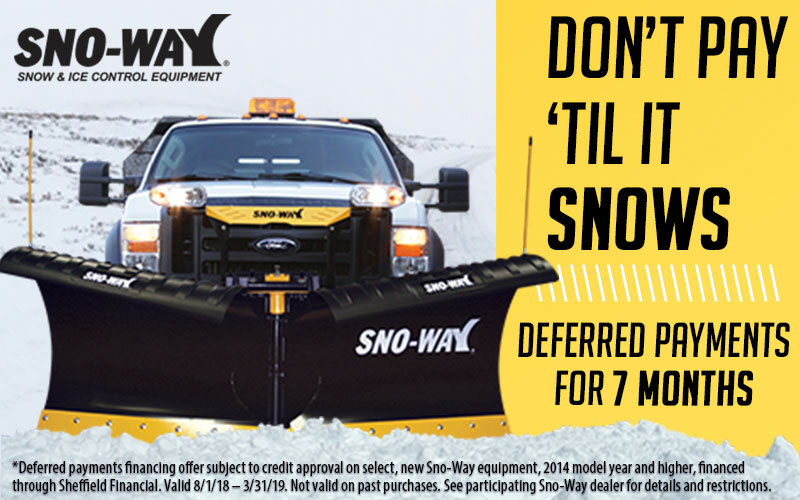 Complete with Sno-Way’s patented innovations like Down Pressure® Hydraulics, 4-Sight™ Lighting System, E-Z Switch™ Wing System and more, you’ll move more snow. Availble in sizes from 6′ – 10′, Sno-Way Skid Steer plows are built for personal or commercial snowing applications. Light Commercial Skid Steer plows are perfect for crews who primiarly plow parking lots and driveways. Meanwhile, Heavy Duty Commercial Skid Steer plows are for serious commercial plowers, built with the innovations you know and love from Sno-Way. 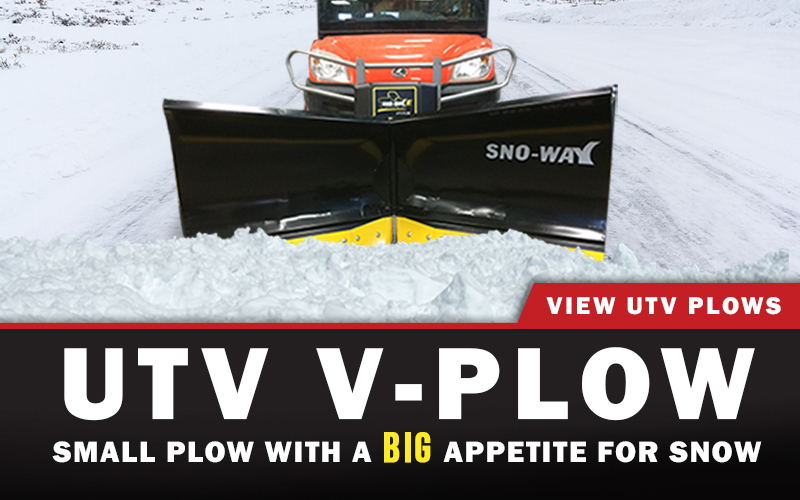 Whether you’re looking for a straight plow or v-plow, Sno-Way has what you need. Fully hydraulic, 6 feet, complete with Sno-Way’s proven mounting system that makes putting on or taking off your plow a snap. Find one of our Authorized Sno-Way Dealers near you – for everything from plows to spreaders, accessories, parts, and service! Interested in learning more about Sno-Way? Let us know, and we’ll send you information, or have one of our Sno-Way experts contact you! Arizona, California, Idaho, Illinois, Indiana, Iowa, Kansas, Kentucky, Michigan, Minnesota, Missouri, Nebraska, Nevada, North Dakota, Ohio, Oregon, South Dakota, Tennessee, Wisconsin, and Washington.